Rockettes do a dress rehearsal for the “Radio City Christmas Spectacular,” currently performing through Jan. 1 at Radio City Music Hall in New York. Rockettes are places on the line on stage by height, with taller dancers in the center. 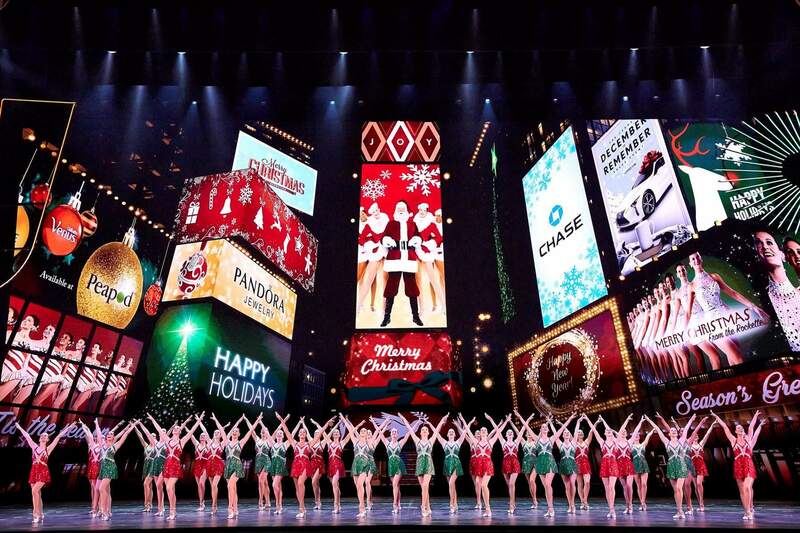 NEW YORK – One of the biggest draws in New York this time of year is the “Christmas Spectacular” featuring the iconic Rockettes at Radio City Music Hall. Everyone knows about their high kicks, but do you know how many calories each burns? What do they snack on? What’s the best place to be in their famous kick line? Two veterans – Bailey Callahan of Melbourne, Florida, and Alissa LaVergne of Houston – reveal all the backstage secrets. By the numbersThere are 80 Rockettes, split into two teams of 36 dancers and four standbys. The 36 women can fit shoulder-to-shoulder along the 66-foot stage. They perform eight dance numbers per show, up to four shows daily, 200 shows a season. The show produces 350 laundry loads weekly. Height and caloriesRockettes must stand between 5-foot-6 and 5-foot-10½ and be proficient at tap, jazz and ballet. Candidates must be ready to do 300 eye-high kicks a show. One Rockette used a fitness tracker and discovered that she burned 1,000 calories every show. “When we do four shows a day, that’s a lot of pizza that we get to eat,” Callahan says. 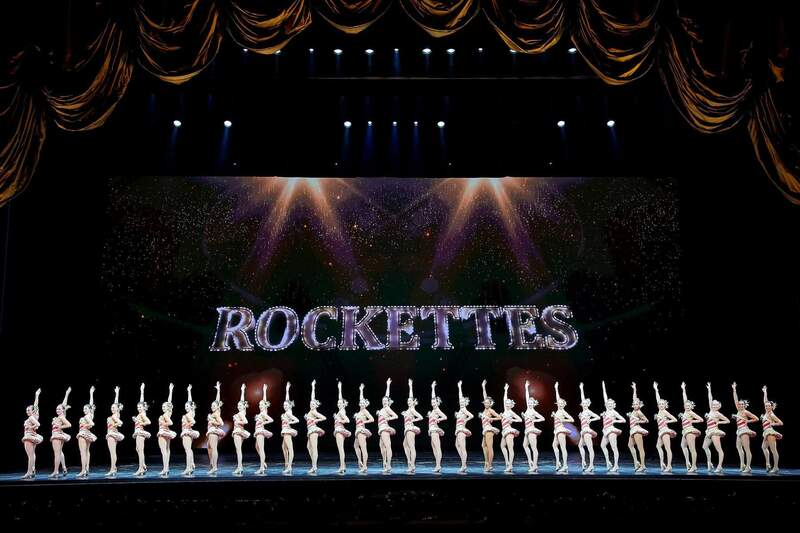 Where are they from?Rockettes this year come from 27 states, plus Canada and Australia. New Jersey sent the most dancers, 12. Ohio is next with six. Pennsylvania, Florida and California each have five; Michigan, New York and Arizona, four each; Maryland, three; Georgia, North Carolina, Indiana, Connecticut, Texas, Nebraska and Virginia, two each. Louisiana, Rhode Island, Kentucky, Washington, Kansas, Wisconsin, Alabama, Illinois, Utah, Massachusetts and New Hampshire, one each. Two come from Australia, five from Canada. How do they look the same height if they’re not?Heels? Optical illusion? “The way we line up is we put the taller girls in the center and gradually go down to the shorter girls on the end,” LaVergne says. “There’s a bit of an illusion but it’s actually really simple.” The costumes are made proportionately, helping the illusion. During high kicks, how tightly do they hold each other?Prepare to be astonished: “We actually don’t touch each other,” LaVergne says. The dancers just lightly brush the women beside them with outstretched arms. They call it “feeling the fabric.” That ensures they’re in line without pushing or leaning. “It just looks like you’re actually holding onto your neighbor but we don’t,” LaVergne says. Best place to be on the line?Doesn’t matter. “Whether you’re on the end or the center, you’re still kicking on your own,” LaVergne says. Each dancer relies on back muscles, core strength and hamstring and quad power, not pushing off another dancer. “Whether you’re standing on zero or 36, you’re going through the exact same experience,” Callahan says. Quickest costume change? Between the “Parade of the Wooden Soldiers” and “New York at Christmas,” the Rockettes have just 78 seconds to change outfits. That means taking off socks, shoes, pants, jackets, gloves, cheeks and hats, and then putting on dresses, shoes, jackets, earrings, gloves and new hats. Wait, what’s that about “cheeks”? The Rockettes wear red cloth cheeks for “Parade of the Wooden Soldiers” and “Rag Dolls” for rosy complexions. What do Rockettes eat?Everything. Catered foods include proteins, veggies, salads, carbs, desserts. Bottles of sports drink Powerade are everywhere. In her dressing room, LaVergne has chips, popcorn, yogurt and apples. Callahan’s go-to snack is a peanut butter and banana sandwich. She also has a stash of M&Ms. Before the curtain rises ... They’re onstage in reindeer costumes, the overture is playing and they’re hidden by a curtain. Some stretch, some pray, some test their antler lights. Others do a clap routine, high fives or dance with a friend. Callahan does three splits, every time. Staying healthyVitamins, water, rest, good nutrition, CleanWell hand sanitizer. LaVergne likes Emergen-C packets. Callahan is partial to electrolyte tablets. Year-round, Callahan likes yoga, Pilates and barre classes. LaVergne leans toward boot camp, boxing and interval training. Cool down like a RocketteMany dancers take an ice bath before heading home. Callahan sits in a tub in 45-degree F water to reduce inflammation. Is that tapping real or recorded?Oh, it’s real. For the tap-dancing numbers “Rag Dolls” and “The Twelve Days of Christmas,” wireless microphones are hidden in their tap shoes’ arches. Most embarrassing momentFor Callahan, it was a 2013 fall onstage, opening night in “The Twelve Days of Christmas” tap number: “It felt like an eternity on the floor but was probably two seconds. You had to keep smiling, keep going, pretend like nothing ever happened.” LaVergne recalled the time a fellow Rockette’s shoe came off during a high kick and went sailing – luckily away from the audience. She kept going. Santa picked up the shoe like nothing happened. Is there any hazing for newcomers?Are you crazy? This show demands absolute precision and teamwork. There’s no room for veterans to make freshmen feel lousy. They might offer advice, but no bullying.